Here are two famous songs performed by the great crooner Andy Williams, chosen to illustrate the beauty of glamorous Éva Gabor. 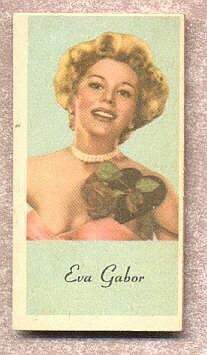 Éva Gabor (in Hungarian Gábor Éva) (1919 -- 1995) was a Hungarian-born actress, best known as Lisa Douglas, the wife of Eddie Albert's character Oliver Wendell Douglas, on "Green Acres". She was the sister of Zsa Zsa Gabor and the late Magda Gabor. Éva was the first in her family to emigrate to America. A few of the superstars Eva has been romantically linked with are Frank Sinatra, Tyrone Power, and Merv Griffin. Her first movie role was a bit part in "Forced Landing" (1941) at Paramount Pictures. She acted in movies and on the stage throughout the 1950's. Her most famous films include "The Last Time I Saw Paris" (1954), "Artists and Models" (1955), "Gigi" (1958), "Youngblood Hawke" (1964) and many more. In 1965, she commenced her best known role in the TV sitcom "Green Acres", in which she portrayed Lisa Douglas, the New York wife of Oliver Wendell Douglas played by Eddie Albert who left New York City to live on a farm. This was a hit show for several seasons, ending in 1971, and is still seen in syndication. In later years, she did notable voice-over work for Disney movies, providing the European-accented voices of Duchess in "The Aristocats", Miss Bianca in "The Rescuers" and "The Rescuers Down Under", and the Queen of Time in the Sanrio film, "Nutcracker Fantasy". 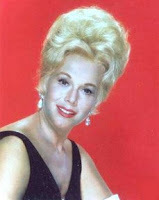 She was also a successful businesswoman marketing the "Éva Gabor Wigs" and "The Éva Gabor Look". Éva Gabor died on July 4, 1995 at the age of 76 in Los Angeles, California. 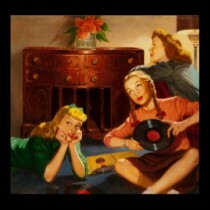 Although the youngest of the three sisters, she was the first of them to die. On 1 April 1997 her 104-year-old mother, Jolie, died. On June 6, 1997 her sister Magda died at the age of 81, 5 days before her 82nd birthday. Éva is interred in the Westwood Village Memorial Park Cemetery in Westwood, California. She is buried very close to her Green Acres co-star Eddie Albert who died May 26, 2005 at 99 years old. Enjoy Éva Gabor's beauty and chic!